Laugh along with me as I watch HC get frustrated with the gusty winds. Mom and Coffee watch him trying to get the landing right. Then Coffee takes to the skies and gets bounced too! 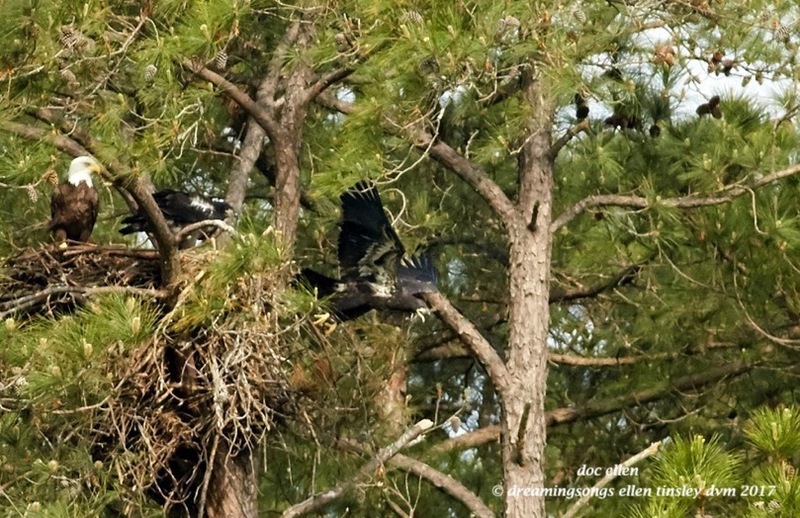 Posted in birds, eagle families of Jordan Lake, Eagles of Jordan Lake, Jordan Lake, Jordan Lake State Park, photography, raptors, wild birds and tagged as American bald eagle, bald eagle, bald eagle fledgling, bald eagle flight, bald eagle parent, bald eagles of Jordan Lake, eagle, eagles of Jordan Lake, First Nest, immature bald eagle, immature eagle, Jordan Lake, Jordan Lake State Park, raptor.